Recently, William Brown and Fred Crawford wrote a guest column for Greenville Online.The article highlights the ongoing longitudinal study that ActivEd founder, Dr. Julian Reed, is completing at Legacy Charter School. South Carolina currently has the 13th highest childhood obesity rate and getting children active can have a huge impact on resolving the obesity problem. Legacy Charter School is ramping up the fight against childhood obesity with healthy meals and daily physical education. Dr. Reed found that Legacy students had statistically significant improvements on 100 percent of the fitness measures compared to no significant increases in any of the fitness measures for control school students in year seven. Astoundingly, control students exhibited a 66 percent decrease on the fitness measures. Children at Legacy Charter School, such as fourth-grader Michael, could perform push-up, curl-up and aerobic tests better than the control students. “Michael started the year with low fitness scores but ended the year with the highest scores in his class,” says his physical education coach, Lacey Lyons. “He went from doing three push-ups to 21 and two curl-ups to 40. Along the way, Coach Lyons noted the increase in Michael’s confidence and the respect and encouragement he received from his classmates. These fitness advances correlated with Legacy students exhibiting a statistically significant increase on 50 percent of the cognitive measures, compared to 0 percent for the control students. Legacy Charter School students also exhibited a significant decrease in the percentage of overweight or obese youth in year seven, while the control schools witnessed an increase in obesity and overweight youth. Congratulations to the staff of Legacy Charter School for their hard work and the positive impacts they are having on students. Looking to learn more about how you can get your students moving? 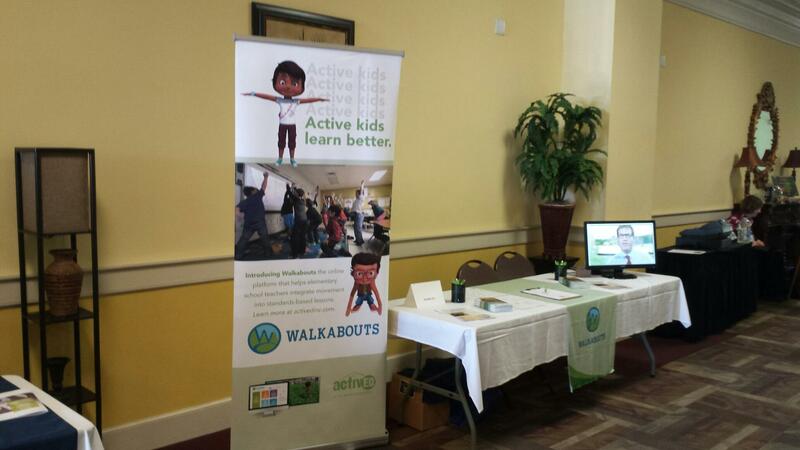 Check out Walkabouts!